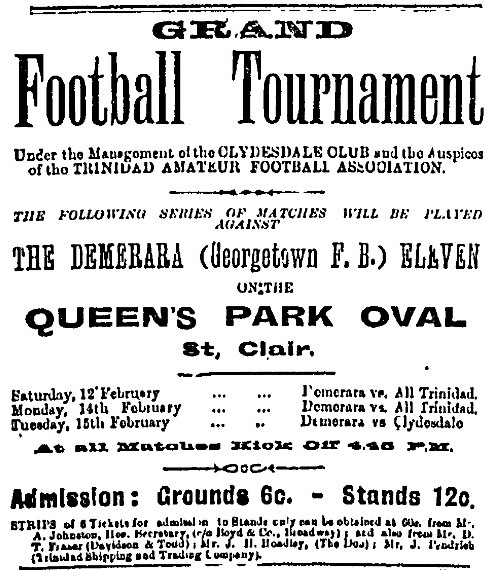 Under the Management of the CLYDESDALE CLUB and the Auspices of the TRINIDAD AMATEUR FOOTBALL ASSOCIATION. At all Matches Kick Off 4.45 P.M. Admission: Ground 6c. - Stands 12c.